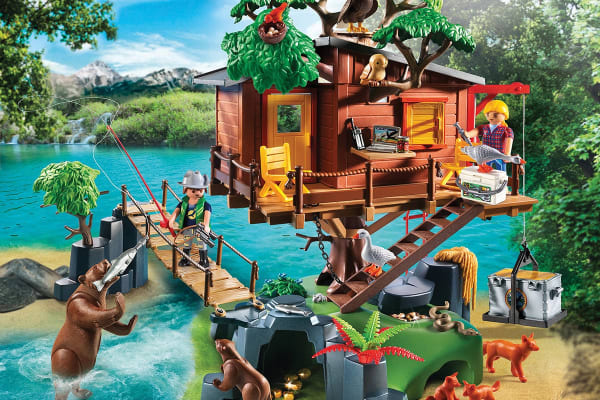 Located in the heart of the forest, this house is surrounded by all sorts of wildlife – what will you find? Watch as a mother bear and her cub fish for their dinner while a fox family plays nearby. Just beware of the weak spot on the bridge or you might fall through! A bald eagle and owl have made a home in the branches above the tree house, giving kids an up close and personal nature experience. 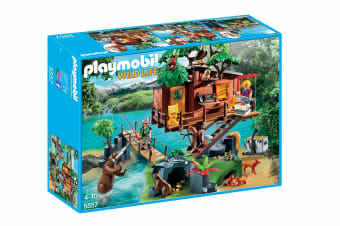 Playmobil encourages learning through interactive play. This set can be played on its own, or combined with other Playmobil sets for hours of fun.